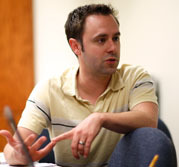 The Center for Teaching Excellence offers several programs that support faculty members on the Lawrence campus. The Department Teaching Grants (with potential for renewal) will be offered to departments/units interested in developing teaching initiatives at the undergraduate or graduate level. The call for applications is sent out each spring. Calls for applications for the Teaching-Related Education and Travel (TREAT) funding are sent out twice a semester via departmental Ambassadors. Other programs include the Best Practices Institute (BPI), Diversity Scholars, TRESTLE Travel Grants for STEM Faculty, and Course Transformation Grants. Check here to see the eligibility policy for these programs.